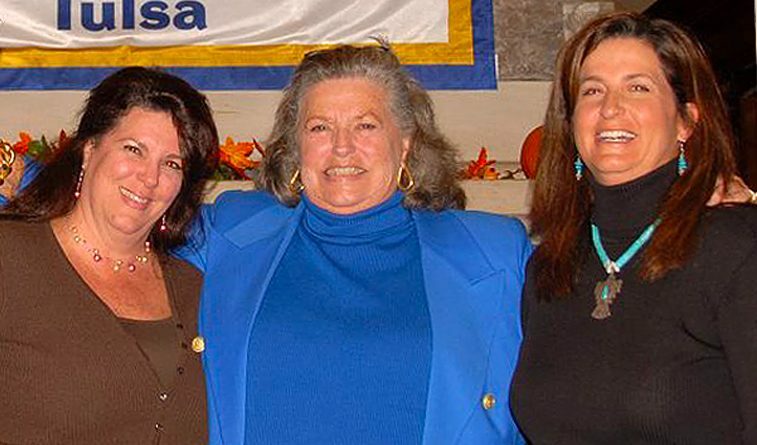 Photo, left to right; Cathy McNamara, Dale McNamara and Melissa Luellen. Read the full story at the Tulsa World here. Dale McNamara and Melissa Luellen — a mother-daughter combination with deep Tulsa roots and a world-class golf lineage — were posed the same question. What’s the best advice that has followed their family throughout the years? The pair will be the female co-recipients at the Henry P. Iba Citizen Athlete Awards presented by Tom Rinehart on June 18. The black tie-optional event will celebrate its 25th anniversary at the Hard Rock Hotel and Casino Tulsa. The Iba Awards were created in 1994 by the Rotary Club of Tulsa to recognize influential male and female athletes for their success in their sport and for being positive role models who give back to their communities. The male recipient will be announced at a later date. McNamara was the University of Tulsa’s women’s golf coach between 1974-2000 and her teams won four national championships. After her retirement, Luellen took over as TU’s head coach for two years before spending 13 years at Arizona State and then moving to Auburn for the past three seasons. Both have been strong role models, with Luellen learning early from her mother.